HSG Members are world experts in caring for individuals and families impacted by Huntington disease. HSG wants to share their knowledge with as many health care professionals as possible so families can more easily find care in their own communities. 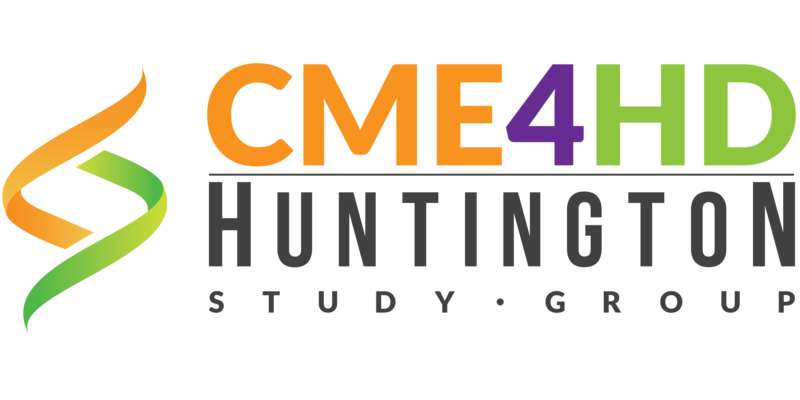 The popular CME4HD program provided at HSG’s annual event is now available online, anytime, anywhere – for FREE. This program was planned and implemented by the North American Center for Continuing Education, LLC (NACCME) and the Huntington Study Group (HSG), and was made possible, in part, by an independent educational grant from TEVA Pharmaceuticals. Click here to register for an account on our learning management system (Litmos), which hosts the CME4HD Online program. 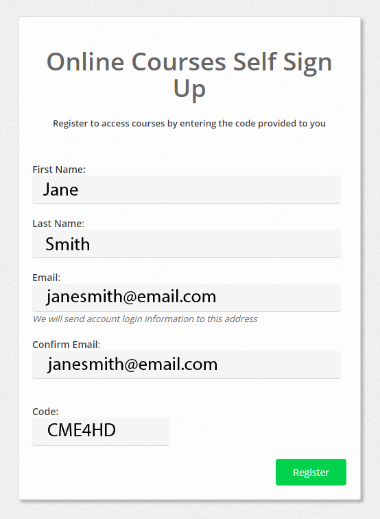 Fill in the form, and enter CME4HD in the Code field. If you are not seeking credits and just interested in the learning content, you may take any of the available learning paths, though IPCE may be best. The content is identical in each learning path. Only the formal certificate made available upon completion of each course is unique to the learning path. Each learning path is broken down into courses, which may be taken in any order. Within each course are modules, which must be completed in order to be considered complete per accreditation requirements. Modules will include an Overview document with course specific objectives and faculty disclosures, a video of the learning content presentation, a post-test quiz requiring at least 70% score to pass, and an evaluation. The program can be completed on a computer, tablet, or mobile device, but at times you may choose to rotate your tablet or mobile device to see the entire screen more easily. In order to receive an official certificate documenting earned credits, you must complete all modules for each course. Certifications can be downloaded by clicking on the Achievements link from the menu. If you have any questions, please contact Kevin Gregory at kevin.gregory@hsglimited.org.